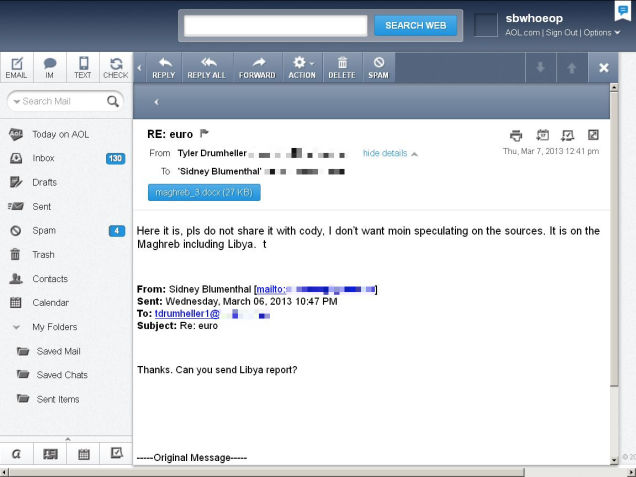 Over the last week we've been writing about a series of deeply suspicious emails sent by former journalist and Clinton family adviser-fixer-creep Sidney Blumenthal. Blumenthal is well-known in political and media circles—but despite his apparent power, he's unknown outside of D.C. and New York. Let's get to know Hillary's private email spook, and his shadowy under-the-table intelligence operations. Washington, in addition being a deeply uncool fortress of dullards and flatterers, is also a black hole of back-biting, betrayal, and seething hate. Even by these high standards Sidney Blumenthal is a widely disliked individual. But he's legendary as an adviser, fixer, snooper, and muckraker, and diehard Clinton family ally, a post that he doesn't seem to have ever mentally resigned from—despite having left the administration fourteen years ago. 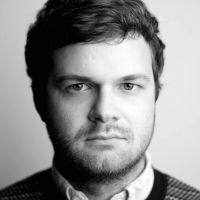 Through the 1980s Blumenthal worked as a journalist and commentator, covering politics for The New Republic, New Yorker, Vanity Fair, and others. His close rapport with the Clintons, begun while Bill campaigned in the New Hampshire primary in 1992, helped earn him a place as the New Yorker's Washington correspondent under the first Clinton administration—Andrew Sullivan once called him "the most pro-Clinton writer on the planet," which probably made Blumenthal blush—and then, in 1997, as a senior adviser to the president. Blumenthal was, as White House advisers are, deeply loyal and incredibly cutthroat (his knack for toxic smearing, more than anything else, earned him a permanent place in the Clinton lore). He also had a a rolodex that included many of the most notable political writers of the time. And he used it. "During lunch on March 19, 1998, in the presence of myself and Carol Blue, Mr. Blumenthal stated that, Monica Lewinsky had been a 'stalker' and that the President was 'the victim' of a predatory and unstable sexually demanding young woman. Referring to Ms. Lewinsky, Mr. Blumenthal used the word 'stalker' several times. Mr. Blumenthal advised us that this version of the facts was not generally understood." Hitchens added that he had "knowledge that Mr. Blumenthal recounted to other people in the journalistic community the same story about Monica Lewinsky that he told me and Carol Blue." The revelation ended the longtime family friendship between Hitchens and the Blumenthals, and forced Washington media insiders to choose their loyalty between two unpleasant men. Almost every day over the past six months, I have been the recipient of an email that attacks Obama's character, political views, electability, and real or manufactured associations. The original source of many of these hit pieces are virulent and sometimes extreme right-wing websites, bloggers, and publications. But they aren't being emailed out from some fringe right-wing group that somehow managed to get my email address. 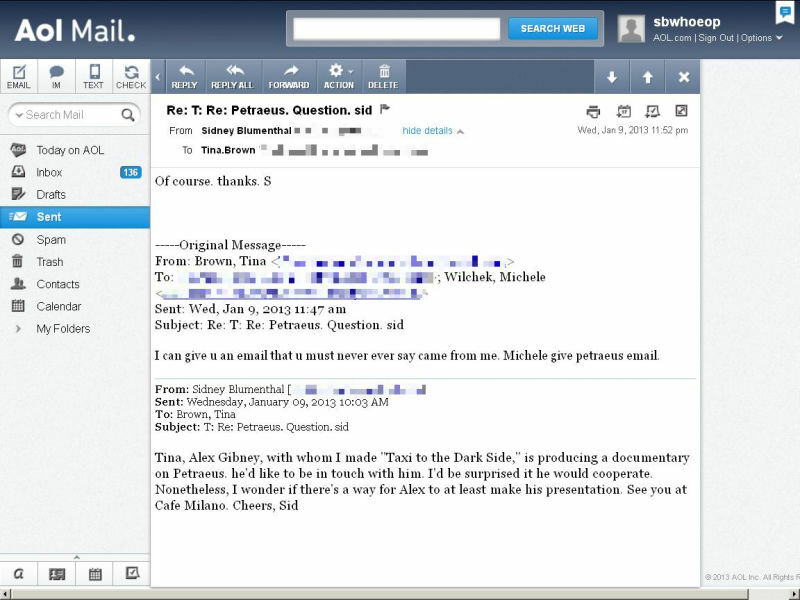 Instead, it is Sidney Blumenthal who, on a regular basis, methodically dispatches these email mudballs to an influential list of opinion shapers — including journalists, former Clinton administration officials, academics, policy entrepreneurs, and think tankers — in what is an obvious attempt to create an echo chamber that reverberates among talk shows, columnists, and Democratic Party funders and activists. Blumenthal, a former journalist himself, had both the contacts and story sense to spread any pernicious anecdote he chose. Among the narratives that Blumenthal helped ferry from the political fringe to GOP mainstream were Obama's relationships with Bill Ayers and Rev. Jeremiah Wright. ...which came back to bite him. No Clinton insider was more reviled in the West Wing than Blumenthal, who goaded reporters to pursue the most salacious rumors about Obama during the 2008 campaign, according to four reporters interviewed for this article. In 2009, when Clinton's people floated the idea of Blumenthal joining the State Department as a kitchen cabinet adviser, Obama press secretary Robert Gibbs told White House chief of staff Rahm Emanuel, "Hell, no. If she hires him, I'm out of here," according to a person with knowledge of the exchange. "Me, too," added David Axelrod, Obama's top messaging adviser. Emanuel was tasked with delivering the no-go news to Clinton. Since the end of Clinton's campaign in 2007, it's unclear what exactly he's done to pay the bills. He's written some books, done some vague consulting and punditry work, and described himself as an adviser to the sprawling Clinton Foundation. He doesn't, though, seem to have a full time job. But he does have a lot of very important friends. 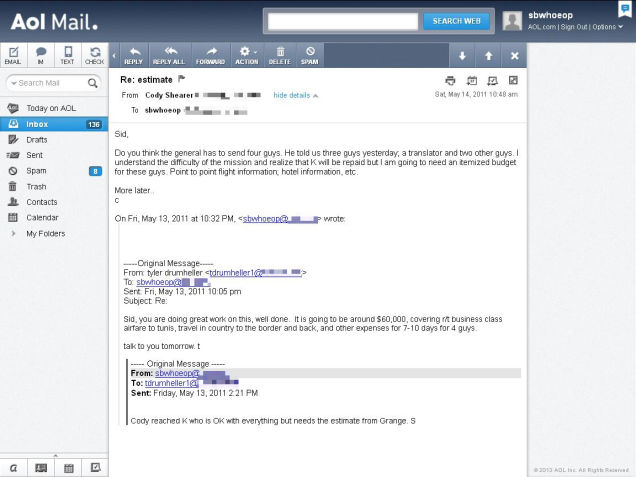 A look through Blumenthal's AOL account, broken into by the Romanian hacker Guccifer and distributed in 2013, shows what spending years as a political insider will get you: friendships with a bunch of other eerily ambitious people. Blumenthal is a gifted schemer, with enough influential buddies to make him smart in the way a person sneaking looks at their smartphone during trivia night is very smart. He's used these connections a lot over the years. 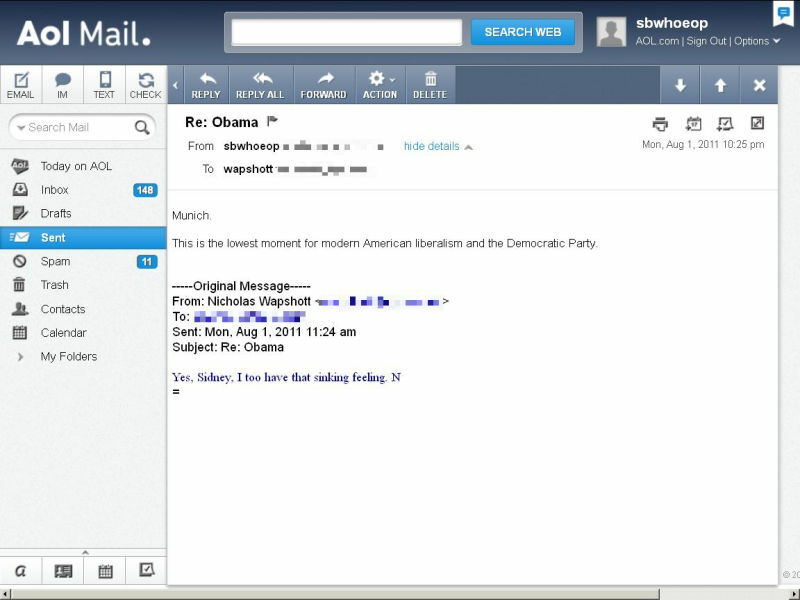 Leaked emails poached in 2013 by the Romanian hacker Guccifer show that Blumenthal didn't let the fact that he was despised by the Obama camp prevent him from indirectly working for Obama. 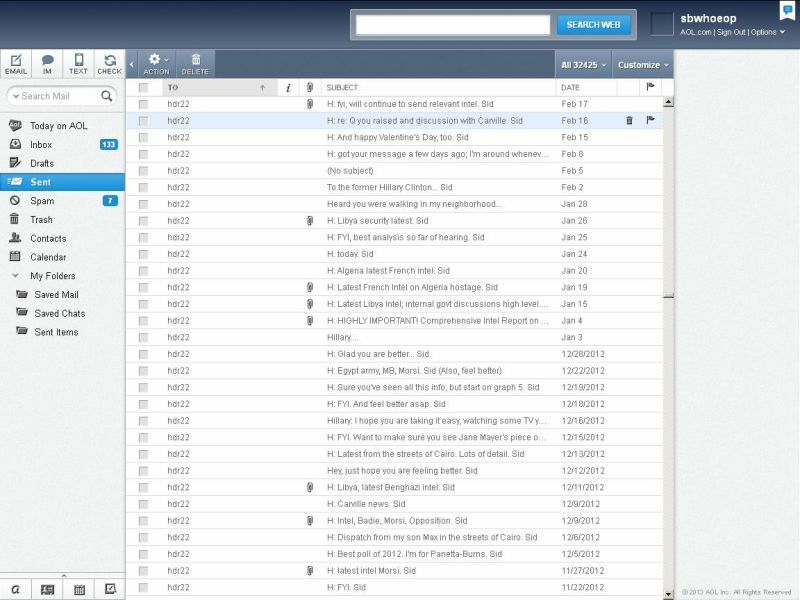 His outbox is filled with meticulously formatted diplomatic intelligence memos to Hillary Clinton, using her private email address that remained a secret years after her tenure as Secretary of State. We don't know the full extent of Blumenthal's backdoor influence with Clinton, or the extent to which she ever paid attention to his AOL.com diplomatic cables. But this wasn't just some try-hard with an erection for Tom Clancy novels—Blumenthal not only had access to Clinton's secret email address, but to a network of very plugged-in friends. There's nothing necessarily wrong with being an ambitious sycophant with a contact list filled with important people—this is the tax base of our nation's capital. But Blumenthal isn't just a well-connected family friend: Guccifer showed the world an outbox brimming with attempts to influence the State Department, based on God knows what and for God knows what reasons. 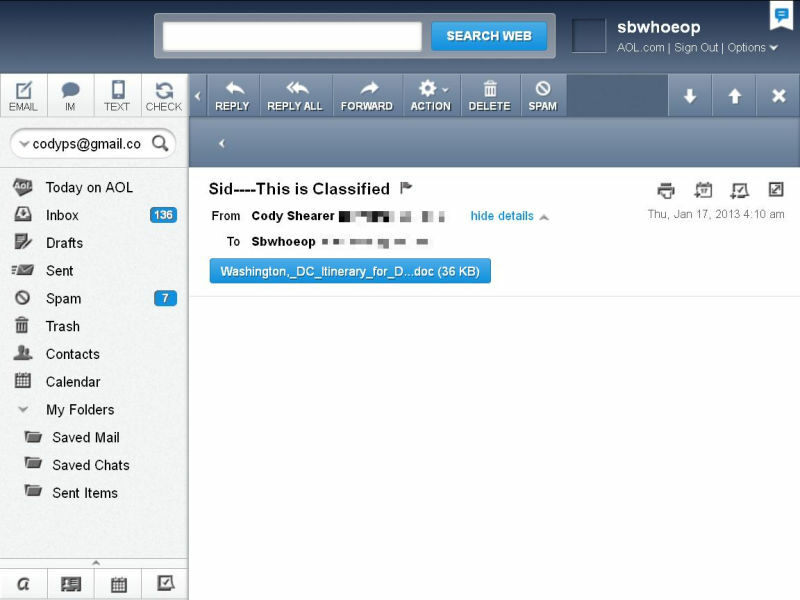 Recent revelations about Hillary Clinton's efforts to keep her emails out away from federal transparency laws only make the whole arrangement more opaque—we might never know what relevant emails she chose to delete. We can only expect so much integrity from our national security apparatus, but we should at least hope our presidential cabinet members aren't getting advice from a guy who still uses AOL. Source: Top Clinton Aides Used Secret Email Accounts at State Dept. Again, there's no proof Clinton used anything Blumenthal handed her, but he handed quite a bit. We've found evidence of Blumenthal discussing foreign intelligence with John Kornblum, a 25-year veteran of the State Department, as well as Tyler Drumheller, who ran CIA operations across Europe. It was this network that provided the basis for Blumenthal's memos to Clinton. We've learned Blumenthal attempted to lobby Clinton on behalf of Bidzina Ivanishvili, a friend of Vladimir Putin who became the prime minister of Georgia. We've found evidence of Drumheller et al. planning some sort of four-man mission to Tunisia, most likely to cross the border into Libya. 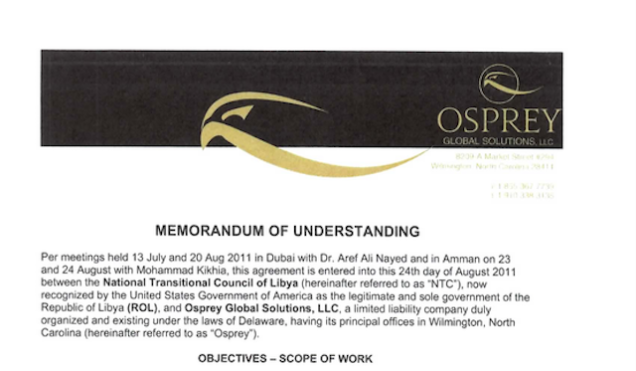 We've found evidence of Blumenthal's connection with multiple private sector defense and intelligence contractors, with plans for operations inside Libya. 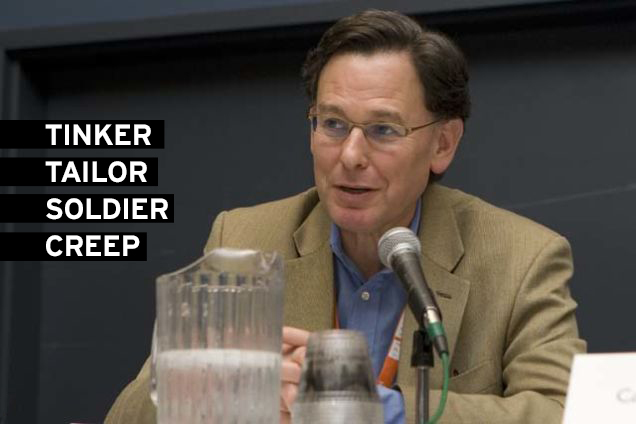 We know a lot about Sid Blumenthal, but there's still a lot we wish we knew. But because this was all conducted in the dark on private email servers, away from the prying eyes of federal transparency laws, we don't yet know is why a Clinton cheerleader would be running a secretive international intelligence-gathering operations, or who paid for it. None of If you could help fill us in, we'd love to learn more about Blumenthal from you.